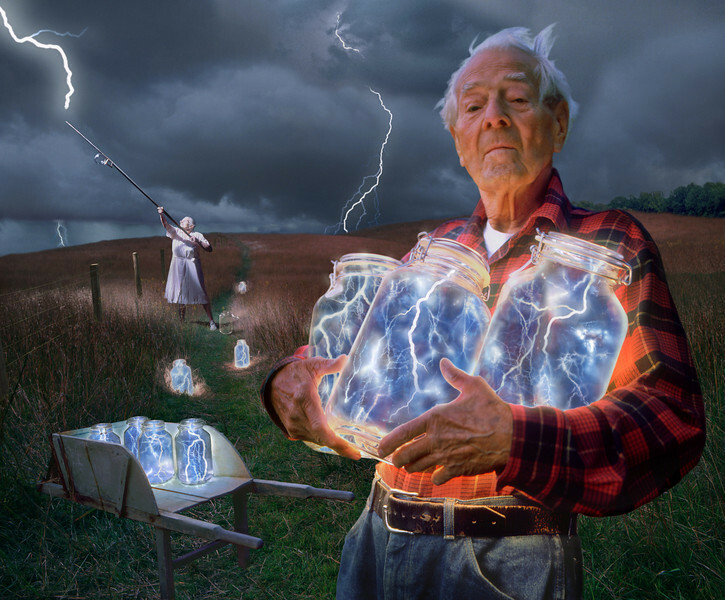 The Lightning Catchers. - The man in this photo, Mr. Bronson, was 92 at the time it was made. Walt was instrumental in helping me capture electricity on film which became the blueish areas in the jars. The woman was the local historian in Boonton NJ, My studio was above the town library where she worked. The image was used on the cover of a book I wrote for Watson Guptil called "Digital Wizardry" along with countless stock uses around the world. Stunning image!!! Such creativity and it sure tells a great story too!